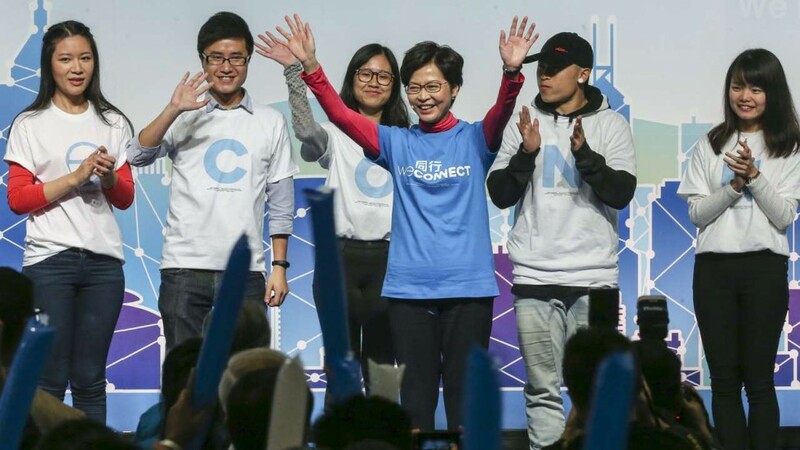 Carrie Lam unveils her slogan, "We Connect", but what does that mean? This afternoon former Chief Secretary Carrie Lam ChengYuet-ngor officially threw her hat into the race to become the next Chief Executive of Hong Kong. 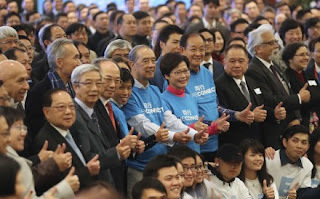 She made the announcement at the Hong Kong Convention and Exhibition Centre, and managed to round up a big support base that featured a number of tycoons, such as Peter Woo Kwong-ching, retired Wheelock and Wharf Holdings chairman, Stewart Leung Chi-kin, chairman of the Real Estate Developers Association's executive committee, businessman Allan Zeman, Lee Shau-kee, Henderson Land chairman, and Robert Kuok, founder of the Shangri-La Hotels and Resorts. So the developers must have been rubbing their hands with glee when hearing Lam promising to ease the housing issue with more land for homes. 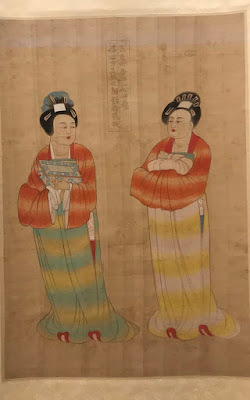 Political heavy weights were there too, like Elsie Leung Oi-sie, vice-chairwoman of the Basic Law Committed of the National People's Congress, and Maria Tam Wai-chu, local deputy to the National People's Congress. However, not a single pan-democrat was seen at the event. 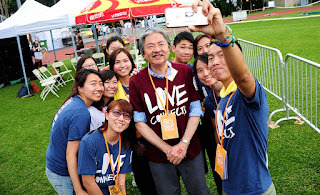 On stage Lam ditched her usual serious demeanor and tried to look energetic, with a group of young people behind her, all of them wearing T-shirts that read: "We Connect". Connect to what? Certainly not the rest of us. Perhaps she means she connects with Beijing? Lam tried to give a more down-to-earth picture of herself, talking about how she was raised in Wan Chai and remembers how her parents worked so hard so that they could afford a flat in Quarry Bay. She got a few people to vouch for her, including elder son Jeremy, who flew down from Beijing for the event. At first he wasn't enthusiastic about his mother's political ambitions, but apparently has now turned around. Interesting her other son and husband didn't make any public endorsements. In her speech she recalled how her family was so optimistic about the future, as if a hint to suggest she could bring back that positive attitude. But how is she going to do that? She is not seen as a grassroots person -- taking a taxi in the middle of the night up to her former residence at The Peak because she didn't now where to buy toilet paper. And Lam didn't seem sympathetic when she represented the government during the 2014 Umbrella Protests when it had a meeting with the student leaders during a televised showdown. Nevertheless, word on the street is that Lam is the favourite to win the election in March. 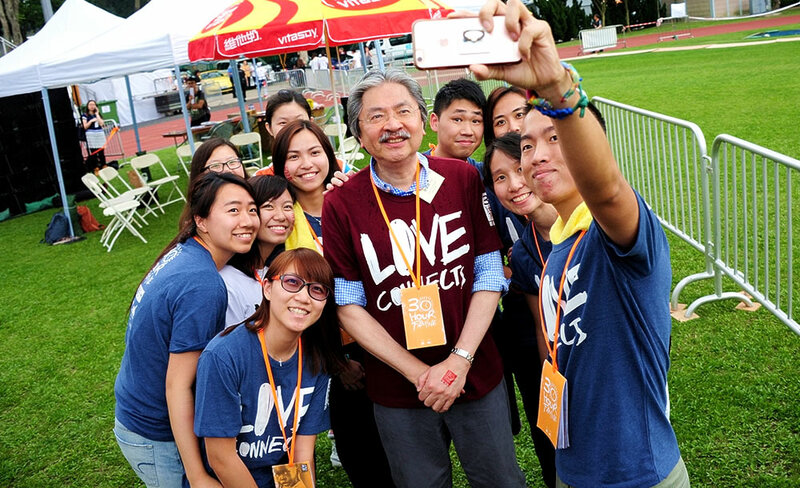 But you never know -- one misstep and things could sway in favour of second favourite John Tsang Chun-wah. He appears to be the one the public favours for his easy-going attitude and seems to be more of a local guy despite going to school in the United States. So has the race begin in earnest now? We the people who are unable to cast a ballot can only watch from the sidelines. With four candidates, it's already an interesting race. Myicon serviced office provides fully furnished serviced office and Business Center. The fully furnished serviced office offers free internet access, photocopying, pantry, and customer reception services as well as fully-equipped conference rooms.